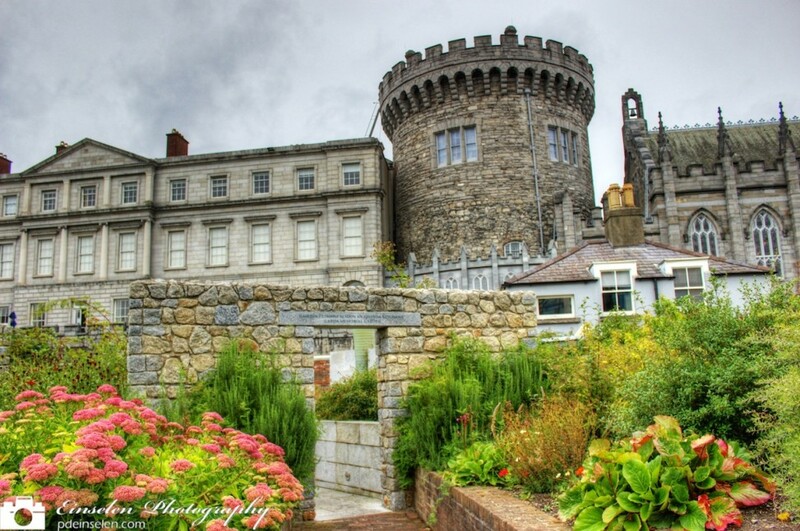 This is a HDR photo from the Dublin Castle in Dublin, Ireland. The Dublin Castle is free to visit however paid tours of the State Rooms are available either with a host or self guided. The rest of the grounds though are free for you to wander around. As we walked around the grounds I saw shot and knew it would look great with the three bracket HDR style I have been recently shooting. Unfortunately during our entire trip in Ireland it was overcast and even some times rainy so the top two-thirds of the photo are a bit grey and dreary but it also makes the colors of the plants, flowers and wall “pop”. I may go back later to create a second version of this shot by touching up the sky in Photoshop or Pixelmator.